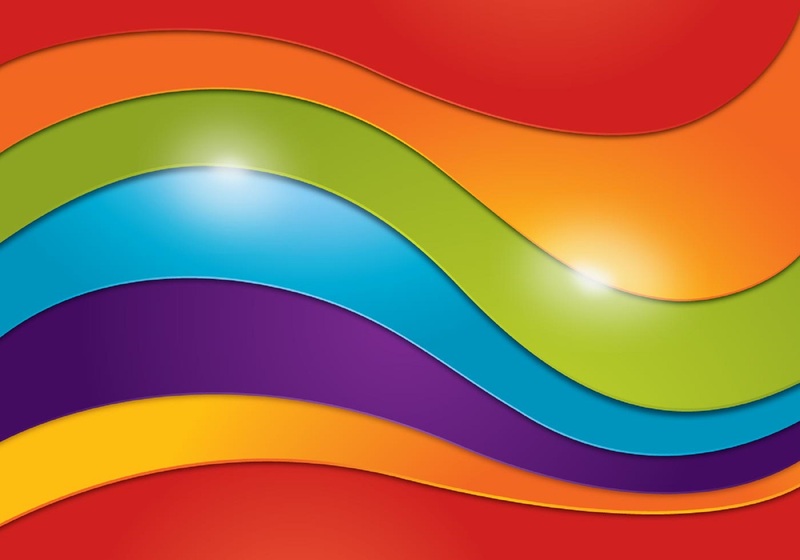 Download and print certificates for children who have lost a tooth as well as other items. They can have lots of fun drawing and colouring in these pictures. 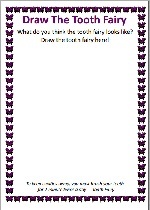 Download and print a certificate from the Toothfairy for a lovely girl who has lost her tooth. She can show off the certificate for all her friends to see and it wiill serve as a momento for the future. Download and print a certificate from the Toothfairy for boy who has lost his tooth. He can show off the certificate for all to see and it wiill serve as a momento for the future. Download and print a this chart to make sure you remember to brush your teeth for two minute twice a day. You might find somewhere to hang it beside where you keep yout tooth brush. 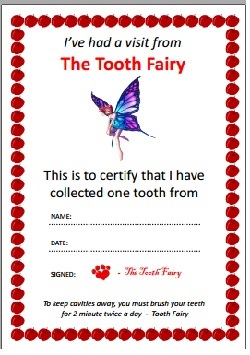 Download and print a certificate from the Toothfairy to show the tooth has been collected and is on its way to Tooth Fairy land. Download and print and colour this in then hang it outside your bedroom door to let the Toothfairy know you have lost a tooth and a visit is required to collect it. 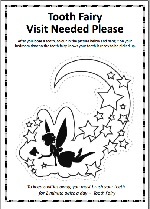 Download and print a place to draw a picture of the Toothfairy. What do you think the Toothfairy looks like. Download and print a this chart to keep track of which teeth you lost and the date you lost them.